According to Adobe Support Materials the 'Add an embed tag' option is related to video embedding. 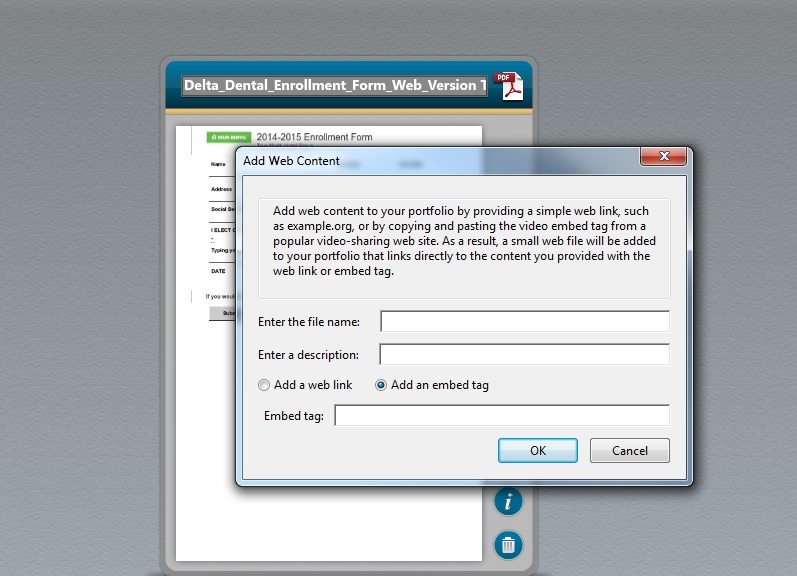 It is not likely that JotForm based form can be embedded directly into the Adobe PDF Portfolio. However, you should be able to use the 'Add a web link' option to add the form link. 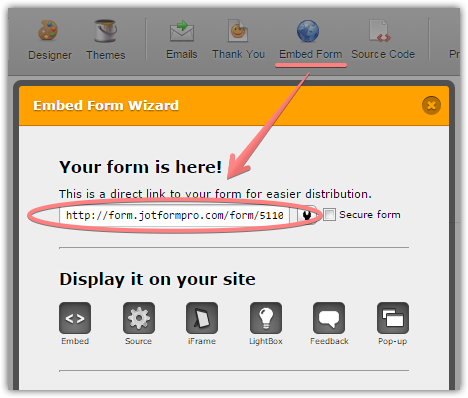 This is how you can get your direct form link from JotForm.